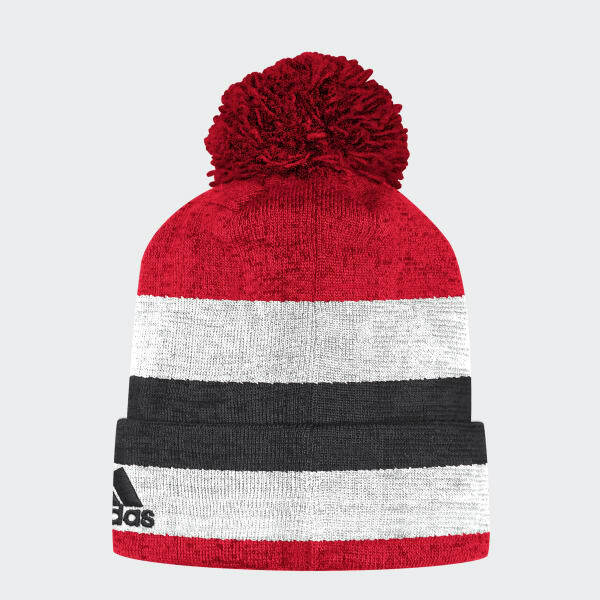 A cold-weather hat for Chicago Blackhawks fans. The Blackhawks can light the lamp at any moment. 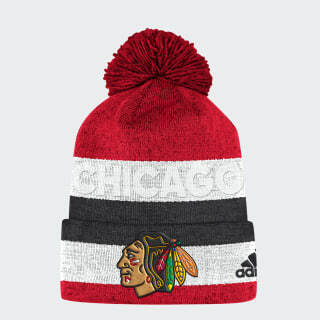 This cap shows your loyalty to Chicago hockey. The fold-up cuff features team details and the NHL Shield. A pompom on top gives it a finishing touch.